Bringing you News, Views, Gossip and Results from around Buckinghamshire and beyond. Very sad news. For those of you who knew Claire Benjafield who played in the MK pool league, I have been asked by Claire's family to let her friends know that sadly she recently passed away after a short illness. Her family would like to let everybody know that Claire's funeral will be held this Thursday 27th October at Crownhill Crematorium at 2pm if you would like to attend and pay tribute. The Vic Bradwell Village would just like to let the pool community know the sad news off one of our players Bob Nutt passed away yesterday. The Bletchley Arms have changed their venue. They will now play from The London Pride, Serpentine Court, Lakes Estate, Bletchley. Just reminder that registration for all teams and individuals entering need to be submitted by 28/06/2015. Forms on EPA website. Be quick if they are not in yet as will need to attach proof to your application from the league you are representing. Following on from the previously released android verson we can now offer site members the app for all compatible Apple devices. All yours for just 69p!! The minimal charge is to cover development software and costs to get the app through the Apple verification process. The Annual James casey memorial Pool tournament will take place at The Swan Hotel in Fenny Stratford on Saturday 13th September 11 am prompt for Registration, World Rules will apply on the day. Come down, have a beer or 2 and share memories of a Great man and a True Gentleman, ?5 entry fee with all monies to be paid out in winnings. I have managed to presuade the Suffolk Punch team to fulfil their fixtures from the Herald. Number 10 will now be called Herald Intu Pockets. You can download a new fixture list on this site now. The Loughton Lad's will now be called the Lad's and will play from The Dolphin, Whaddon Way, West Bletchley MK3 7JZ. Phone 01908 632000. Entry fee is ?30 per player. All entry fees will go straight into the prize fund. Tables are on free play. 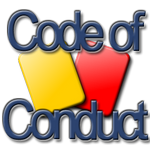 All matches to be played to be played to World Rules. Doors open at 10:00am for registration with prompt 10:30am start for the competition. Right pool fans I have spoken to Stuart at the Herald and he has agreed to let me pilot a Scotch Doubles Pool League played to World Rules on Monday evenings. I?m hoping it will be a social affair and a bit of fun so players are free to talk to each other between shots with an informal one minute shot clock in place. 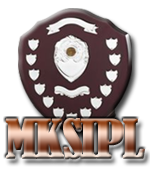 The Springfield are unable to fullfil the remainder of there fixtures so have withdrawn from the league number 8 is now a bye. 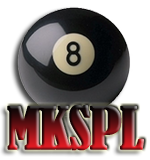 Here at Bucks8ball we are always trying to come up with fresh ideas that other cuesport sites haven't thought of yet. It keeps us up there as one of the most popular pool sites on the net! 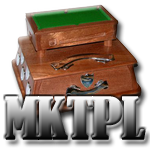 There will be a Milton Keynes Tuesday Pool League AGM on Tuesday 15th January 2013 at 8pm to discuss rules and fees.